Researchers said Legos were a good fit because they are relatively inexpensive and easy to find. There's a new tool in the fight against chemical weapons: those versatile Lego plastic bricks. 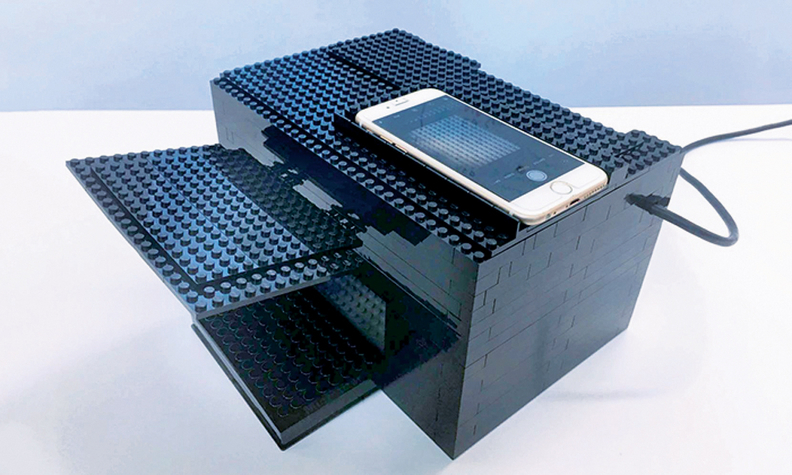 Researchers at the University of Texas at Austin used the Danish interlocking blocks to fashion a box with a smartphone attached that can detect nerve gas. The technique, published in the journal ACS Central Science, would allow users to see and identify dangerous nerve agents, which can be odorless and tasteless and cause serious injury or death. “Chemical weapons are dangerous threats to humanity,” Eric Anslyn, a chemistry professor at UT Austin, said in a news release. “Detection and neutralization are key to saving lives.” Anslyn had previously worked on a chemical compound that could neutralize nerve agents while causing the gas to glow brightly enough for a person could see it. The Lego nerve gas detector was created to make that compound more useful and accessible in real life. The smartphone can take photographs of the glow caused by the compound, and software analyzes it to determine the type of nerve gas and its concentration. So why the Legos? Researchers needed a dark space for the smartphone camera to work well, and they wanted to use materials that wouldn't be too expensive, hard to find or built differently depending on location. “Legos are the same everywhere you go,” said Pedro Metola, a clinical assistant professor at UT Austin.